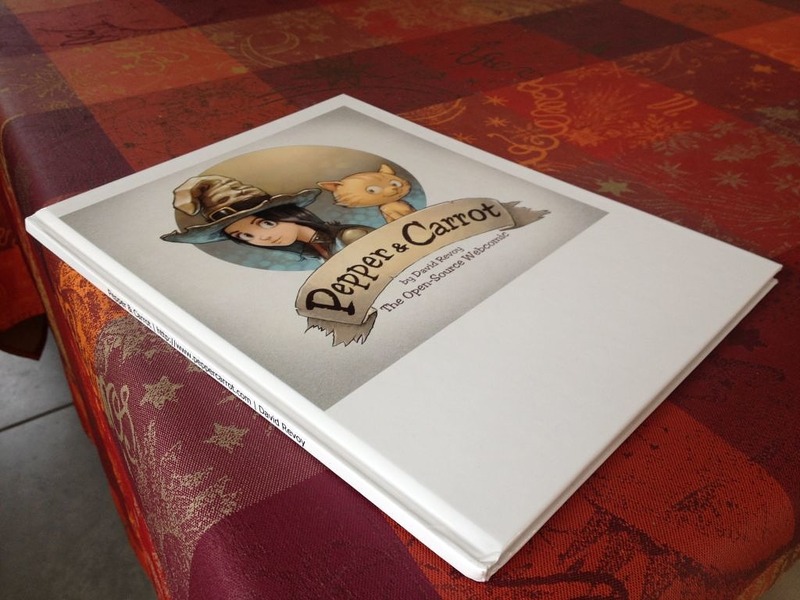 Cfdev , a contributor and supporter of Pepper&Carrot, printed a version of episode 1 to episode 6 using the online printing service Vistaprint . 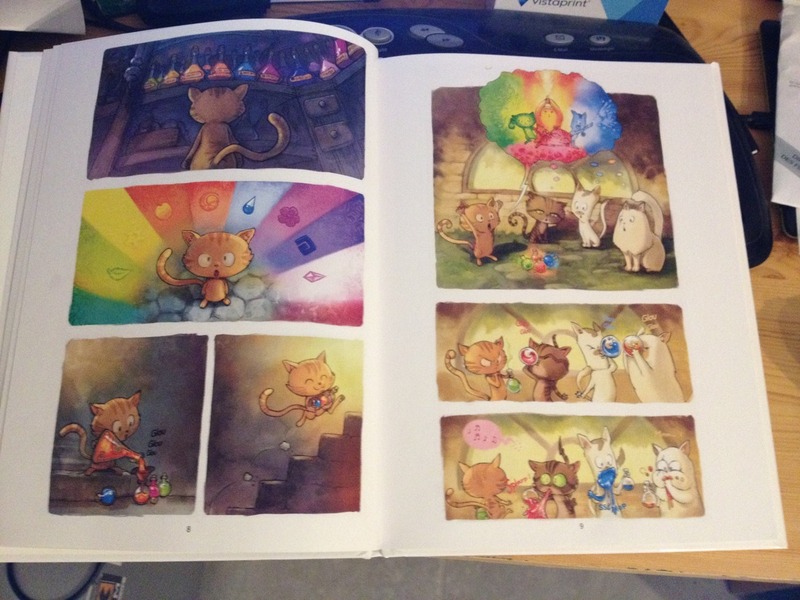 He is now the first owner and creator of a printed comic of Pepper&Carrot. A collector :-) He sent photos to me to show the result ( photo CC-By Cfdev ). 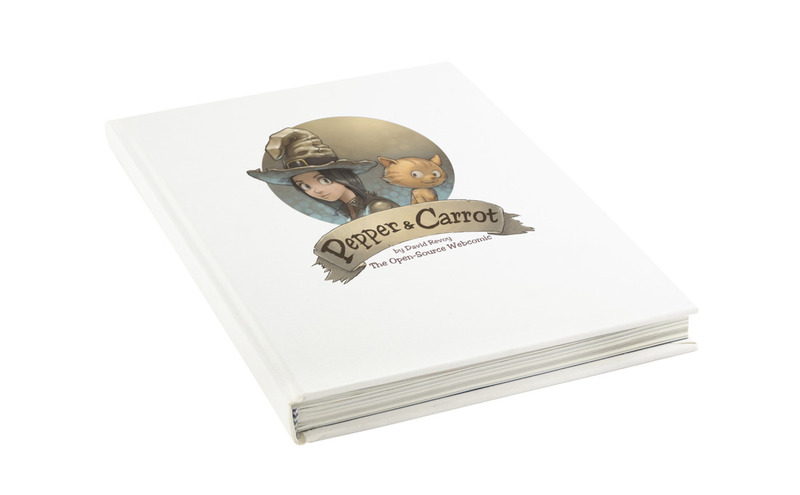 And you, have you got a publishing project using Pepper&Carrot sources ? Commercial publishing or free/open projects , feel free to send me an email and I'll list your project here ! License: CC-BY David Revoy, www.davidrevoy.com, 26 may 2015 . 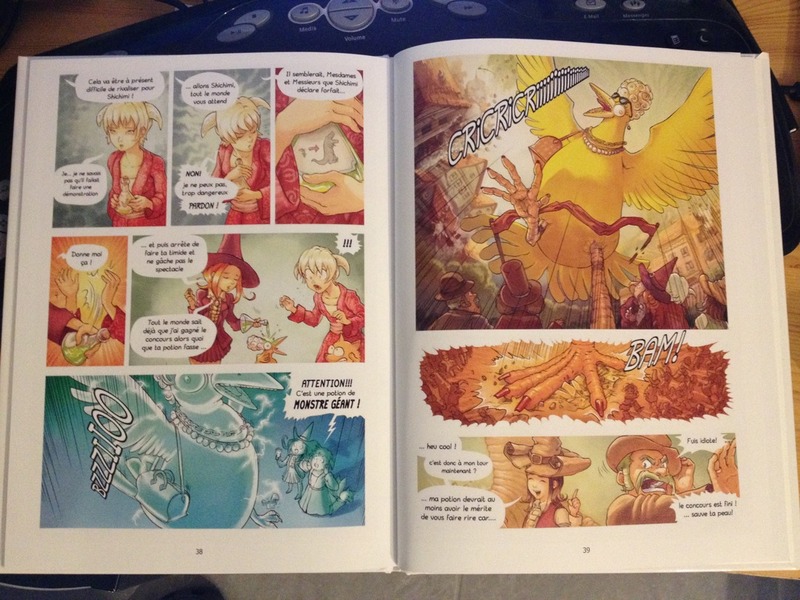 It feels so natural to see your comic printed, David - @Cfdev made very high-quality work! Here are some really badly taken images of them. I would love to get some prints (or a poster) for my niece, she's really in to fantasy at the moment. Do you know when this will go into full production? I'm sure a company like Waterstones would be interested in this. You'll find on deivantArt print many way to customise the size, and printing. If you thought about another artwork, feel free to tell me the one you would like and I'll add it to deviant-art. Now for the comic itself, I'm still looking for a good 'printer/publisher/distributor' to partner with. I plan to get this research over by the start of autumn. Thank you for your patience!